PART NUMBER: 6104534 / EEQ 114. FORD GRANADA 2.8i COLONE ENGINE. ORIGIANL BOXED MOTORCRAFT PART. 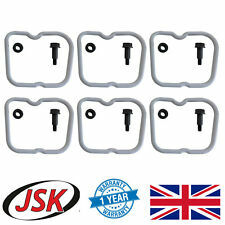 FORD, VAUXHALL, CLASSIC MINI, MORRIS, BEDFORD, MG, WOLSELEY, LAND ROVER, TRIUMPH, HILLMAN. For B Series 6 Cylinder Engines 6B, 6BT, 6BTA or 6BTAA. 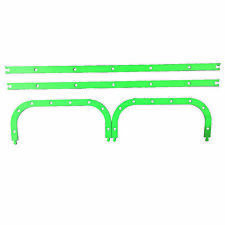 Contains 6 Gaskets, 6 Isolators & 6 Bolts. GENUINE CUMMINS Cylinder Head Cover Gasket Set. 89-02 Dodge cummins. Timing Gear Housing. Gearcase Housing & The Block. Mounting Gasket. X Engine Block. This Gasket Installs Between. 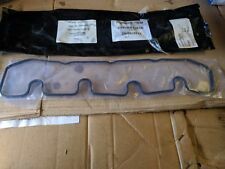 DAF CF75 2001-2013 OIL SUMP / PAN GASKET. Suitable for:DAF CF75 (2001 - 2013). 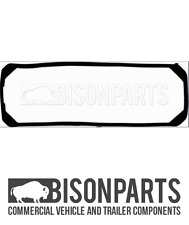 Bison Parts cannot accept liability for any inaccurate or subsequent changes to the information provided. This policy does not affect your statutory rights. SCANIA 2 1981-1989 11000 CC, 11020 CC. OIL PAN GASKET. OEM QUALITY . Fits: DAF LF 45. SUMP AND GASKET. OIL PAN WET SUMP GASKET SEAL. OEM REF: 424 603. VOLVO F 12 1977-1994 11980cc. VOLVO B 12 1992-ONWARDS 11980cc. VOLVO F 80 1970-1977 12000cc. AB31 to 38, AB44 to 45, AB51 to 56, HS1 to 9, IV1 to 63, KA27 to 28, JE, KW1 to 17, PA38, PA 41 to 49, PA69 to 70, PH19 to 26, PH30 to 44, PH49 to 50, TR 21 to 25, IM1 to 9, IM99, ZE1 to 3. Fits: DAF CF85 2001>. GASKET TOP SET. Cant find what you’re looking for?. Iveco Zeta 3666cc. Engine Size 3666cc. 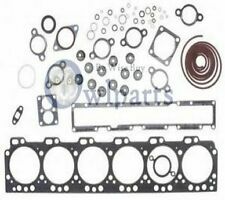 Head Gasket SetFits models: 50-8 & 60-8. Engine Information. 4 cyl tector engine type F4AE0481. (Iveco Tector sump also available). 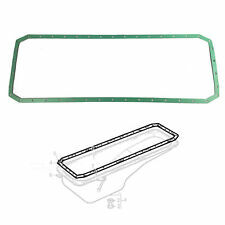 ENGINE OIL SUMP PAN GASKET. Suitable for:RENAULT PREMIUM 2; VOLVO FH D13A400-DXi7 (09.05-). This policy does not affect your statutory rights. Bison Parts cannot accept liability for any inaccurate or subsequent changes to the information provided. 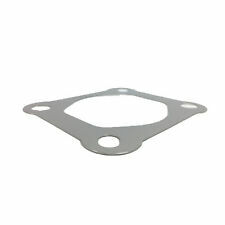 OIL SUMP / PAN GASKET FITS MAN TGA / TGL / TGM / M 2000 / L 2000 / M 90 / G 90 / CLA 1993 ONWARDS. OEM REF : 51059040195. ERF ECM 7.22 RD2 2002 ONWARDS. OEM REF:51.05904.0197, 51 05904 0197, 845.470. MAN TGL 2005 ONWARDS / 4580 CC. MAN M 2001 ONWARDS / 4580 CC. MAN L 2000 ONWARDS / 4580 CC. WET SUMP OIL PAN GASKET. MAN G 1989 to 1993 / 4580 CC. AB31 to 38, AB44 to 45, AB51 to 56, HS1 to 9, IV1 to 63, KA27 to 28, JE, KW1 to 17, PA38, PA 41 to 49, PA69 to 70, PH19 to 26, PH30 to 44, PH49 to 50, TR 21 to 25, IM1 to 9, IM99, ZE1 to 3. COOLANT PIPE SEAL GASKET. VOLVO FL 1985-1990 9600 CC. VOLVO F 1977-1987 9600 CC. VOLVO N 1973-1989. 12100 CC, 2006 ONWARD. WET SUMP OIL PAN GASKET RUBBER. REF OEM : 425 622, 425622. VOLVO B 12 B 12. ENGINE CODE: D12C420, CHASIS NO FROM: 5000. RENAULT TRUCKS 1996 ONWARDS / 9838 CC, 11100 CC. WET SUMP OIL PAN GASKET. OEM QUALITY . CAM SHAFT COVER GASKET. OEM REF:468116-9. Weight: 4.5 g.
NEOPLAN CITYLINER, N 122/3, 14600 CC. NEOPLAN SKYLINER, N 122/3, 1990 ONWARD, 14600 CC. PEUGEOT J5 BOX, 280L, 1981 TO 1990, 2498 CC. PEUGEOT J5 BOX, 290P, 290L, 1990 TO 1994, 2500 CC. Gasket Design : Steel. 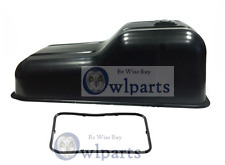 This part replaces manufacturer part numbers: 1907811, 1905870. Bison Parts cannot accept liability for any inaccurate or subsequent changes to the information provided. This policy does not affect your statutory rights. REF OEM: 0754143. DAF F SERIES 1973-1991 5750 CC, 6150 CC. WET SUMP GASKET. OEM QUALITY . Thickness/Strength: 1,5 mm. NEOPLAN CITYLINER 1992 ONWARDS 11600 CC. NEOPLAN JETLINER 1992 ONWARDS 11627 CC. NEOPLAN SKYLINER 1992 ONWARDS 11600 CC. NEOPLAN SPACELINER 1992 ONWARDS 11600 CC. NEOPLAN TRANSLINER 1992 ONWARDS 11627 CC. OIL PAN GASKET. OEM REF : 424918-1. SCANIA 4 SERIES 1996 ONWARDS / 11700 CC. OIL PAN GASKET. OEM QUALITY . REANULT TRUCKS G. OIL PAN GASKET SEAL PARTIAL 3 MM CORK MATERIAL. AB31 to 38, AB44 to 45, AB51 to 56, HS1 to 9, IV1 to 63, KA27 to 28, JE, KW1 to 17, PA38, PA 41 to 49, PA69 to 70, PH19 to 26, PH30 to 44, PH49 to 50, TR 21 to 25, IM1 to 9, IM99, ZE1 to 3. DAF XF 1997 to 2002 12850 CC. DAF CF 2001 to 2013 12850 CC. 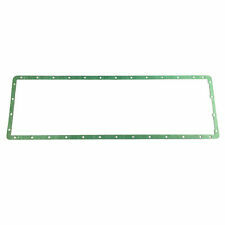 OIL PAN GASKET. ✔1 YEAR WARRANTY ✔FAST DISPATCH ✔OEM QUALITY PART. OEM REF : 1500216 / 1 500 216. SCANIA P.G.R.T, - 2004 ONWARD. SCANIA 4 - 1995 ONWARD. CAMSHAFT HOUSING COVER GASKET SEAL FITS. 9000 CC / 11000 CC / 10600 CC / 11700 CC / 11716 CC / 14200 CC / 15600 CC /. WATER PUMP SHAFT SEAL GASKET. OEM REF:1556389. Height: 4.9 mm. SETRA SERIES 300, 1977 ONWARD, 12760 CC. SETRA SERIES 300, 1991 TO 1992 340 HP, 10964 CC. SETRA SERIES 300, 1996 ONWARD, 290 HP, 10964 CC. SETRA SERIES 300, 1991 TO 2002, 14618 CC. CYLINDER SLEEVE O-RING GASKET SEAL LINER SHIM FITS. MAN MAN L, M, G SERIES 1995 ONWARDS, 4580 CC. TIMING CASE COVER GASKET SEAL. MAN HOCL 18, 24, 2006 TO 2014, 12412 CC. MAN LION S COACH, 2015 ONWARD, 12412 CC. VAN HOOL T-SERIES, 2005 ONWARD, 12412 CC. REF OEM : 000 264 76 80, A000 264 76 80, 0002647680,A0002642980. MANUAL TRANSMISSION HOUSING OIL SEAL GASKET. ✔1 YEAR WARRANTY ✔FAST DISPATCH ✔OEM QUALITY PART. RENAULT TRUCKS KERAX 2001 ONWARDS 11100 CC. WET SUMP OIL PAN GASKET. OEM QUALITY . OEM REF : 5200523379. Cross Interchange Ref : 6.20423, X59885-01, 71-37742-00, WG1248050. WET SUMP OIL PAN GASKET SEAL FITS. RENAULT TRUCKS, MANAGER1991 TO 1996, 9840 CC, 8821 CC, 9839 CC. RENAULT TRUCKS MAXTER 1992 TO 1997, 9839 CC. RENAULT TRUCKS G, 1983 TO 1991, 8820 CC, 9840 CC, 8821 CC, 9839 CC, 9771 CC. SIDE COVER GASKET. OEM REF:1374326, 136.990. SEAL GASKET. OEM REF:3640150180, 768.813. VOLVO FH 16 FH. WET SUMP OIL PAN GASKET. REF OEM: 1 556 387. 16120 CC, 1993 TO 1999. 16/470, 16/520, 16/485, 16/500. IVECO Stralis / Trakker OIL SUMP GASKET. Suitable for:IVECO Stralis / Trakker. This policy does not affect your statutory rights. The item has not been fitted. The item is in a re-saleable condition. RETARDER GASKET SEAL (COATED STEEL) FITS MLS INTARDER ZF. REF OEM : 0501 317 289,0501317289. Fits: 330, 360, 365, 380, & 360T, 365T Engines. 10518 CC 12816 CC. MAN, NEOPLAN, IVECO, ERF. TURBO GASKET. OEM REF: 1407551, 1 407 551. Scania P-/G-/R-/S-Series. Scania P-/G-/R-/T-Series. Scania Bus 4-/F-/K-/N-Series. GEARBOX MANUAL TRANSMISSION HOUSING GASKET. Model, Engine, Gearbox, Axle, Cabin.